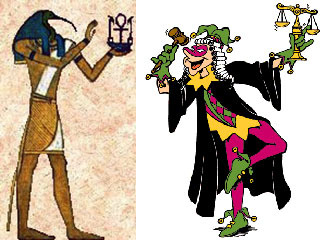 April Fool's Day, or All Fools' Day, is a holiday celebrated in many countries on April 1. The custom of playing practical jokes on friends was part of the celebrations in ancient Rome on March 25 (Hilaria) and in India on March 31 (Huli). The timing seems related to the vernal equinox and the coming of spring-a time when nature fools us with sudden changes between showers and sunshine. The day is celebrated by the execution of hoaxes and practical jokes of varying sophistication with the goal of publicly embarrassing the gullible. Pranks are suppose to end by noon and those done afterwards are suppose to bring bad luck to the perpetrator. Some sources say that the special meaning of April 1 originates in the French change to the Gregorian calendar ordered by King Charles IX of France in 1582. Before that, New Year was celebrated from March 25 to April 1. With the change of the calendar system, New Year was "moved" to January 1. People who forgot or didn't accept the new date system were given invitations to nonexistent parties, funny gifts, etc. In France, the victim of a joke is called an "April Fish" (poisson d'avril). In England, tricks can be played only in the morning. If a trick is played on you, you are a "noodle". In Scotland, you are called an "April gowk", which is another name for a cuckoo bird. In Portugal, April Fool's is celebrated on the Sunday and Monday before Lent. The traditional trick there is to throw flour at your friends. Humor and practical jokes are universal. 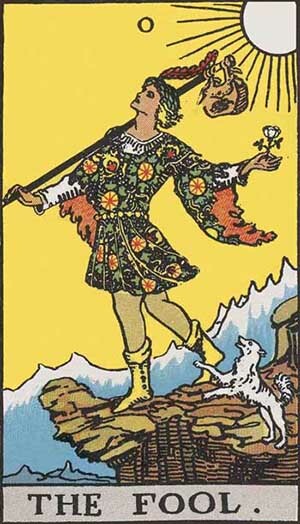 The Fool fearlessly begins the journey into the unknown. To do this, he does not regard the world he knows as firm and fixed. He has a seemingly reckless disregard for obstacles. In the Ryder-Waite deck, he is seen stepping off a cliff with his gaze on the sky, and a rainbow is there to catch him. In order to explore and expand, one must disregard convention and conformity. Those in the throes of convention look at the unconventional, non-conformist personality and think "What a fool". They lack the point of view to understand The Fool's actions. But The Fool has roots in tradition as one who is closest to the spirit world. In many tribal cultures, those born with strange and unusual character traits were held in awe. Shamans were people who could see visions and go on journeys that we now label hallucinations and schizophrenia. Those with physical differences had experience and knowledge that the average person could not understand. The Fool is God. The number of the card is zero, which when drawn is a perfect circle. This circle represents both emptiness and infinity. 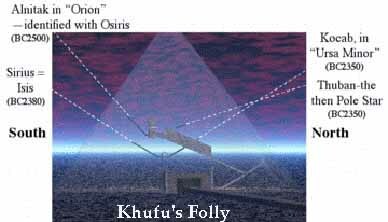 The Fool is not shackled by mountains and valleys or by his physical body. He does not accept the appearance of cliff and air as being distinct or real. 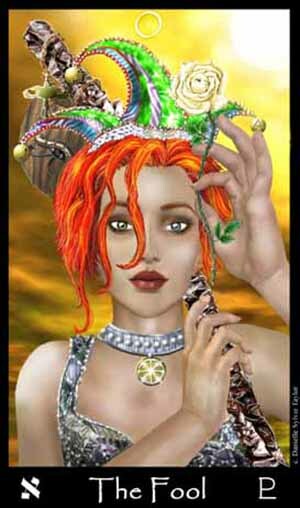 When you receive The Fool in a reading, you are ready to begin The Fool's Journey into the unknown. The Fool's originality, enthusiasm, sense of adventure and faith in the world are yours. At #0, the Fool is the card of infinite possibilities. The pack on the staff indicates that he has all he need to do or be anything he wants, he has only to stop and unpack. He is on his way to a brand new beginning. But the card carries a little bark of warning as well. Stop daydreaming and watch your step, lest you fall and end up looking the fool.